The garden needs lots of friendly Anthophila such as solitary bees, mason bees and orchard bees, along with the familiar honey bee and bumble bee. They are vital pollinators for fruit and flowers in the garden. 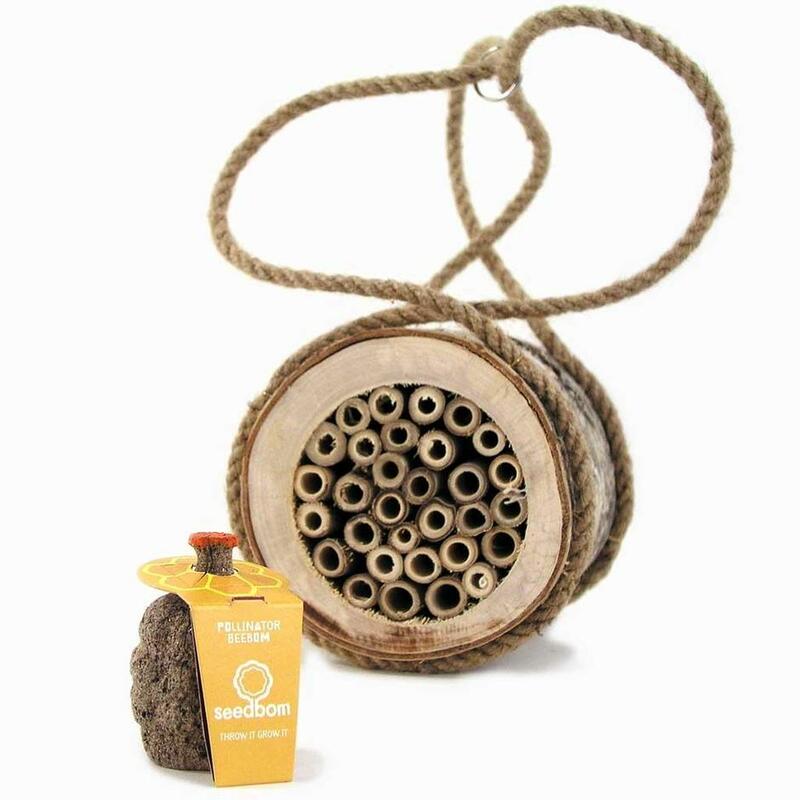 Help protect our native bees with our Save the Bees Kit - the bee log provides an essential habitat for solitary bees to over winter in. Simply hang the bee log in a corner of the garden to provide a natural habitat for pollinating bees. 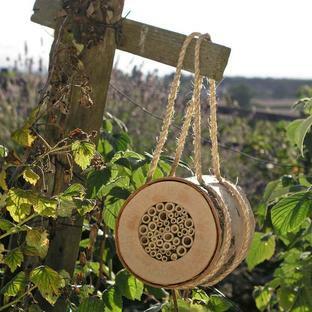 (Between the months of March and August bees such as Mason and Orchard bees will lay their eggs in the tubes and create a series of cells from mud or leaf. The larvae will develop over the winter months and emerge the following Spring). 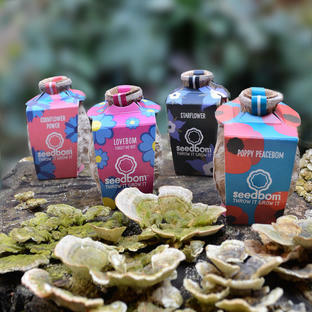 And the Pollinating Bee Bom makes an ideal accompaniment to the bee log, made from biodegrable paper it is packed full of nectar rich flower seeds specially chosen for pollinating bees. 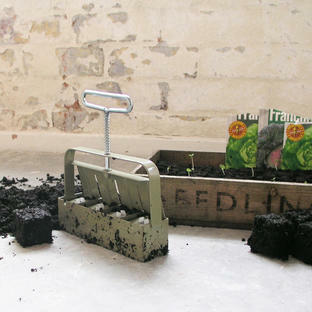 So go on, try a little guerrilla gardening to help our struggling bees to find pollinating flowers in the concrete jungles…give life to neglected waste land and help create floral urban havens .... but if you don’t feel brave enough, they work equally well in the comfort of your own back garden. To find out more about the plight of bees see the Soil Association website.